Sign up for our Family Photo Mini Session!! We are excited to announce our next fundraising event! Photos in the park! We are offering a family photography mini-session in Verona Park on Sunday 11/18/18 & Saturday 11/25/18! Photography by the amazing Gab Matarazzo! There are 3 photo packages available for your purchase. Package 1 ($100.00) : A 15 minute mini family session. 1 location, 10 edited images digitally delivered. Package 2 ($125.00): A 15 minute mini family session, 1 location, all images edited and digitally delivered. Package 3 ($150.00) A 20-25 minute mini family session, 1 location, all images edited and digitally delivered. *A $30.00 deposit will be required to save your spot! Space is limited! *Unlimited images captured for the amount of time allotted. *Images edited for color and exposure. *Free black and white copies at request of session. All proceeds will be donated to The 2 Degrees Foundation Fund. Come join us at Pure Barre 237 Millburn Ave, Millburn, NJ 07041 on Thursday November 19th 2015. Enjoy cocktails, appetizers, and a complimentary 50 minute workout session with a donation to The 2 Degrees Foundation Fund. For more information please call: 973-379-4537. Start time TBA. 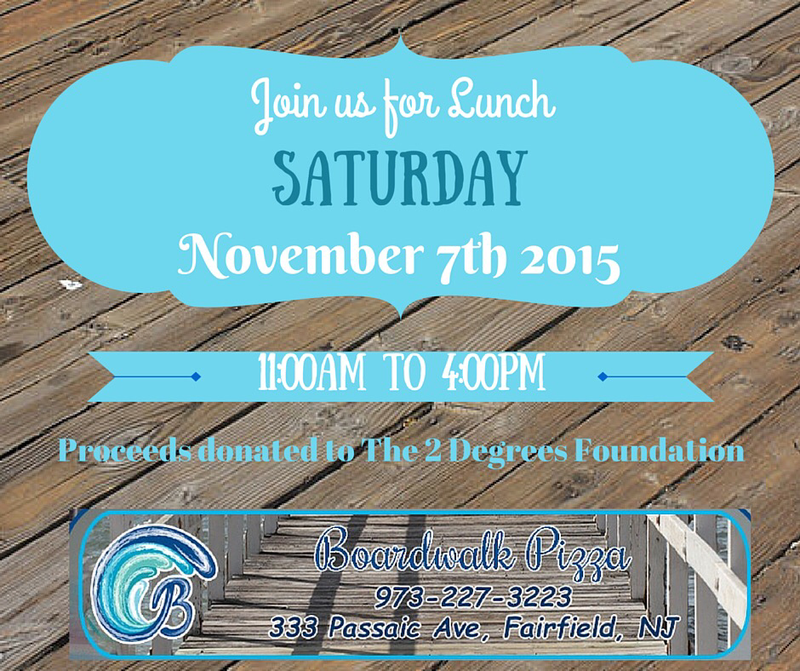 Join us for lunch on Saturday, November 7th 2015 between 11:00am and 4:00pm at Boardwalk Pizza 333 Passaic Avenue Fairfield, New Jersey 07004. 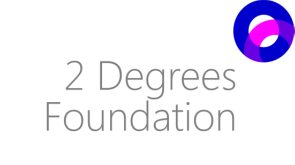 Show them this photo and or mention that you are there to support The 2 Degrees Foundation and a portion of your purchase will be donated to The 2 Degrees Foundation Fund. Visit http://boardwalkpizzanj.com/ for more information including a menu.